Powder Alert!! 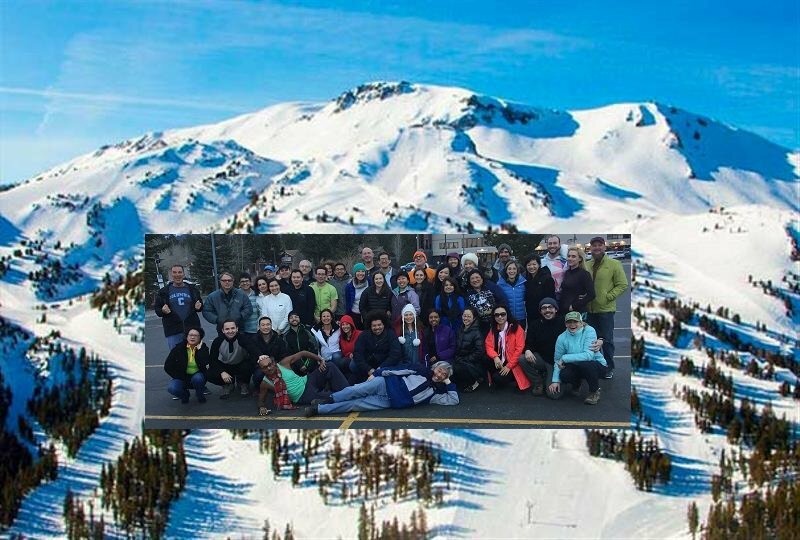 There is plenty of new snow - join us at the 2019 Inter-Ivy+ LA/OC/SD Mammoth Ski Trip - Friday February 8 – Sunday February 10. Space is filling fast! Get ready for another fun-filled weekend of snow sports at Mammoth Mountain with alums and friends from all the top schools. Adults of all skill levels are welcome. Last year, our group included downhill skiers, cross country skiers, snowboarders, and snowshoers. Cost: $409 before 1/2, $469 after 1/2. Includes bus ride with snacks and group lodge accommodation. Lift tickets and equipment rental not included. Registration: Please visit the MIT Club of San Diego page for the latest registration information and to register for the LA bus. This year, we will be having a double dose of fun. Our bus with LA alums will be meeting another bus full of SD and OC alums at Mammoth. We will all be in the same condo complex and all be doing the same social events. Note: all accommodations involve shared rooms. Condo/room selection priority will be given according to the order of paid registration. And, master bedrooms will be prioritized for two-person occupancy. LA Union Station pickup at 9:00 am at an assigned location near the front of the station on the Alameda Street side. Bus leaves 9:30am. Overnight parking is available in the Union Station East structure, which is located on the eastern side of the station off of Vignes Street. The cost is $8 max per day. Soda, water, beer, wine and snacks will be provided on the bus ride up and drinks on the bus ride back. You are welcome to bring your own libations. We will be located very close to the Canyon Lodge - that's the best place to rent equipment for downhill skiing and snowboarding. For cross country skiing and snowshoeing, you'll want to take the shuttle bus to the XC Ski Center at Tamarack Lodge, where you can get ski trail passes and equipment rentals. This event is limited to the first 48 participants who make full payment. Only a full payment will reserve your spot. Important: Fees paid are fully refundable before 12/1. After 12/1. fees are non-refundable, but are always transferable. We will help facilitate fee transfers.